Mr Edwards, who farms at Pwll y wrach, keeps 1,850 ewes in the Vale of Glamorgan with his father Richard. With no housing on the 364-hectare (900-acre) farm the sheep lamb outside. A nucleus flock of 250 Welsh Mountain ewes produce the flock replacements, with 1,000 Welsh Mountain Mules and 600 New Zealand Romney Mules. Most of the farm is grassland, with 24ha (60 acres) of turnips grown for twin-carrying ewes to graze over winter. “We scan the ewes in January and graze the turnips between January and March, before moving the ewes into the lambing paddock,” says Mr Edwards. Mr Edwards sells the offspring of his ewe lambs to a Halal buyer, getting them off the farm at 15kg deadweight. He finishes the rest of lambs off grass at 17-19kg. In a bid to keep lameness at low levels, Mr Edwards set-stocks his paddocks, does not offer creep feed, and has clean, concreted yards with decent handling facilities. Even so, Mr Edwards was treating about 70-80 sheep for predominantly footrot each year, with footbathing and trimming, antibiotics and sprays. So about eight years ago he decided to treat ewes with a footrot vaccine. It proved such a success he then rolled it out across the whole flock. “Although my vet advised us we may need two doses we only needed one – in the first year only a couple of cases did not clear up and they turned out to have CODD, so were culled,” he explains. The savings have been considerable. “Everybody knows lameness is expensive – lambs do not finish as well and it is always the ones which have had antibiotics which are the last to sell,” says Mr Edwards. Another benefit is Mr Edwards hardly ever needs to use antibiotics anymore. 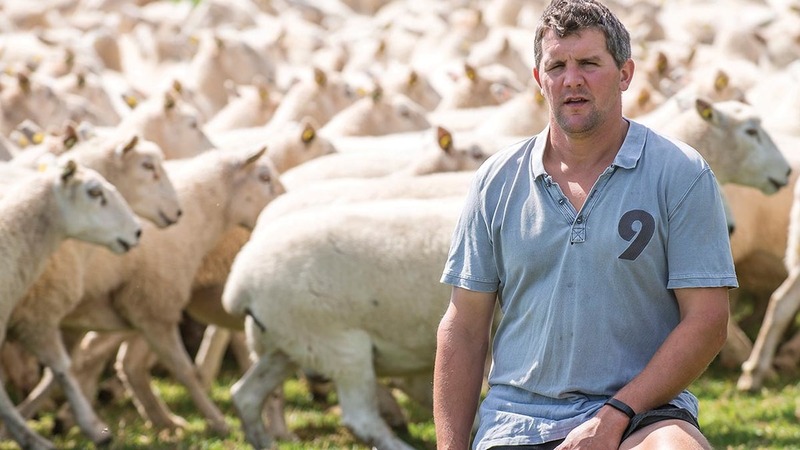 And his cull rates for lameness have dropped from about 40 a year to just five, so he can make more informed culling decisions, bringing in 300 ewe lambs to the flock each year. Mr Edwards also buys in about 1,500 store lambs a year. Mr Edwards keeps the store lambs completely separate from his own flock, buying them at the end of August and finishing them by early February. This completes the recommended five-point plan: quarantining: avoiding the spread of infection; treating cases quickly and appropriately; vaccinating and culling. But in his own flock, Mr Edwards thinks the greatest success has been down to two points alone: Vaccinating and culling. “It has completely solved the problem,” he says. Next Article Yorkshire Dales farmers star of the show in rural exhibition "Voices From The Land"